The dairy market in India is a most sought after market. Even if there are a lot of FMCG products in India, Diary market has always proved to be in constant demand. The dairy industry has been climbing the stairs of progress since Indian Independence. India is the world’s largest milk producing country. The dairy industry has grown from 17 million tonnes to 121 million tonnes from 1951-2011.The sole reason that attributes the progress is the structural change in the Indian Diary Industry which was bought by the arrival of dairy cooperatives. 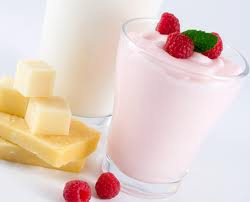 According to a market research report, the Indian dairy products market has been predicted to rise at a compound annual growth rate (CAGR) of 5% through to 2017. Dairy Industry plays a pivotal role in the social economic development of India. It generates rural employment and also provides nutritious food to large population. Initially, the dairy market was dominated by the unorganized sector but slowly there is a growth in organized sector also. • Rapid urbanization that leads to the busy lifestyle and therefore creates a demand for packaged food products. • Higher disposable income that helps in generating higher spending power of consumers. • Aggressive marketing and promotion campaigns. • The crossbreed technology used by the Indian Diary Industry has accelerated the possibility of the dairy units by increasing the milk production per animal. The majority of the delicacies is prepared by using milk or milk products. This signifies the demand for the dairy products in the market.